What is tofu? Need a definition? If you're new to vegetarian and vegan cooking, you'll definitely want to give tofu a try! 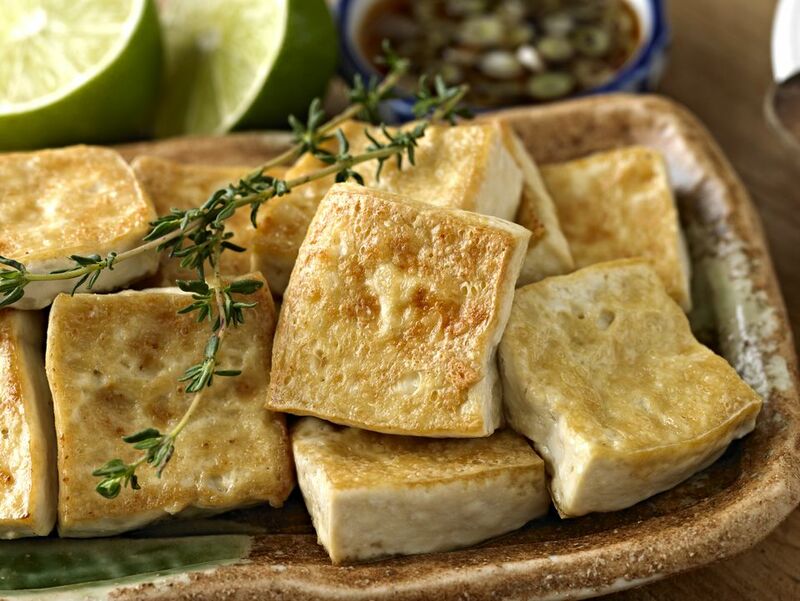 Read on for what you need to know about tofu: a definition of what it is, just how healthy it is, how to cook it up and, of course, a few of the best recipes to try! Tofu is made from soybeans, water,​ and a coagulant, or curdling agent. It is high in protein and calcium and well known for its ability to absorb new flavors through spices and marinades. Due to its chameleon-like qualities, affordability and nutritional value, tofu, a staple of Asian cuisines for hundreds of years, has recently become popular in Western vegetarian and vegan cooking. So popular, in fact, that it is celebrated with its own annual festival and has almost become synonymous with vegetarianism itself. But despite that, there is lots of confusion about what tofu is and isn't and how it should be used (and how it shouldn't be used!). In fact, some people have even wondered if tofu is itself a vegetable! Need another reason to love tofu? It's a bargain! Tofu usually costs less than just $2 for a portion which should serve several people, depending on how you are using it. It's a great source of protein if you're cooking and eating on a budget! Look for tofu in the produce section of your regular grocery store or try out some vegetarian tofu recipes. There are two main kinds of tofu, silken or soft tofu, and firm or regular tofu. They are very different, so make sure you know which kind of tofu you need to use when cooking! Cooking with tofu is very easy, but there are a few things you should know first. When cooking with firm tofu (not silken or soft tofu! ), you will usually want to drain and press the tofu first, and some recipes will tell you to freeze and thaw your tofu. Tofu is an excellent source of protein for vegetarians with over 10 grams per half-cup serving and is also a great source of calcium and iron. See how the nutritional value of tofu stacks up against beef, milk, and eggs. Also Known As: Tofu is also sometimes called bean curd or soybean curd.